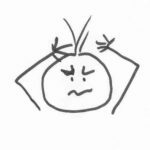 ← Conquer NaNoWriMo – Can I even do this? NaNoWriMo has been going for a week, and you’ve probably run into the bane of writing: You got stuck. And it’s easy to either panic in that moment or to throw up your hands and give up. And believe that you’re not cut out to be a writer. It happens to every single one of us. Every writer gets stuck. It’s normal. It’s part of being a writer. And one big part of NaNo is to create so much pressure on you to write – doing those 1,667 words per day isn’t necessarily easy – that you suspend your inner critic and just write. That alone can help you get out of that stuckness, but there are many, time-honored methods. Let me list a few ones. This is the first, easy one. All you have to do is to get up from where you have been writing, and move to a different room in your house. What this does is to refocus your brain. By moving around physically, you’re sending a signal that you’re no longer stuck. It shifts something in the brain. Fun story: This is the same effect as forgetting what you wanted to do when entering another room. Familiar with that? Okay, simply move out of stuckness. Nobody says you have to write your novel the same way you read it. You can skip a scene, mark it in your manuscript and come back to it later. Writing doesn’t have to be linear. I think that’s cool. And skipping difficult or boring scenes has often helped me keep the momentum going – and discover solutions later on when the characters are more rounded and solid, when the plot is clear and you know what has to happen. So you can write yourself out of being stuck, as well. If you get up and do something different, possibly even something that doesn’t tax your brain at all, like doing the dishes, walking the dogs, folding laundry, this gives your brain a chance to refocus, and to stop being creative for a while. And under the surface, your writer brain will continue to worry away on your story problem and will create a solution. This method even has a name: The MacGyver Secret. It was used extensively by Lee Zlotoff, who created the MacGyver series. This is part of doing something entirely different, except it works on relaxing your body with warmth and comfort. This sends a signal to your brain that you’re safe. And when you’re safe, your brain is in fully active mode and able to be creative. You see, when we’re stressed or afraid, the creative and highly inventive part of our brain, the neocortex, tends to shut down, and leave the running of the body and our thinking to older, less creative, but much faster parts. This is a safety mechanism, and it’s good for us as living beings. It’s bad for writers, however. So that hot shower or comfy bed sends a clear signal that we’re not in any danger and we can turn that creative writer brain back on. Now, I have to admit a secret: I love that curling up in bed part for solving plot problems. I create a lot of my stories while daydreaming in bed. But when I get really, really, really stuck, I tap. After all, I use EFT for practically everything in life. And all you have to do is tap a few rounds on how bad you feel about being stuck – the actual language matters less than staying focused on your emotions – and your brain can let go of worrying and move back into being creative. And that’s what all these things are about. Every situation in a story can be fixed in many, many ways. All you have to do is to allow your creativity do that work. So here are some tapping sentences to get you started on EFT. Even though I’m so horribly stuck in my story, I can’t even think, I’m totally okay the way I am, and I now choose to let my brain come up with a cool solution. Even though I’m so stuck, and I feel horrible about it, I’m still totally okay the way I am, and I now choose to get myself out of the way and let my writer brain sort this out. Even though I’m so stuck that I’m thinking I’m not good enough as a writer, I’m totally okay the way I am, and I now choose to let go of all that anger and fear, and to let my writer brain do the work. This entry was posted in Mindset, NaNoWriMo and tagged being stuck, creativity, NaNo, NaNoWriMo, stress. Bookmark the permalink.